Known as the boat with a sizable reputation, it is comforting to know the Supreme V212 should never let anyone down. We took the award winning wake of the V208, added the stainless vents, custom dash and the new windshield of the V232 to come up with the perfect blend of performance and styling. Built-in ice chest, SKY bolster seat, ergonomic dash, custom swoop tower, SKY package. 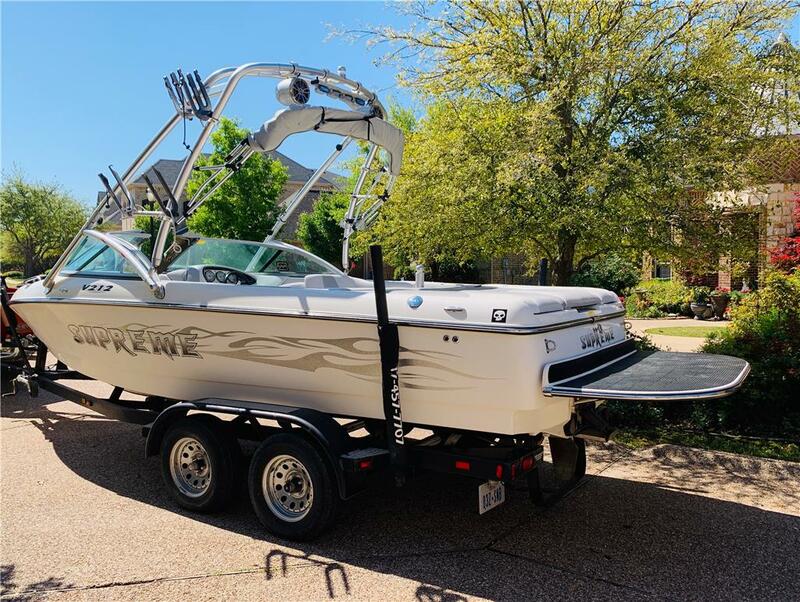 I am interested in your 2007 SUPREME V212 SKY w/ TRAILOR and would like more information. Please let me know. Thank you!